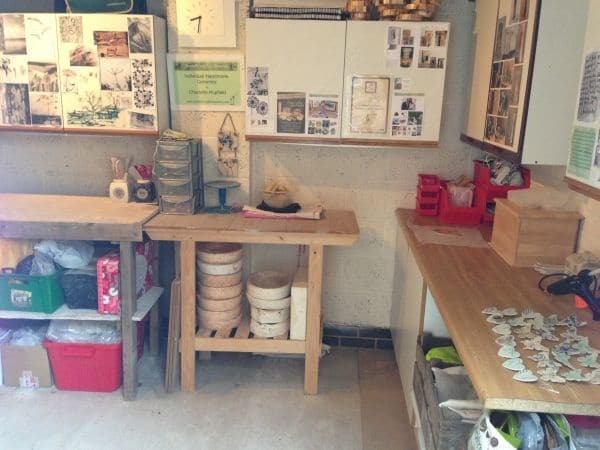 Wow – Since moving house a couple of weeks ago, the change of my work space going from a small wooden shed to a garage is a pretty big transformation. 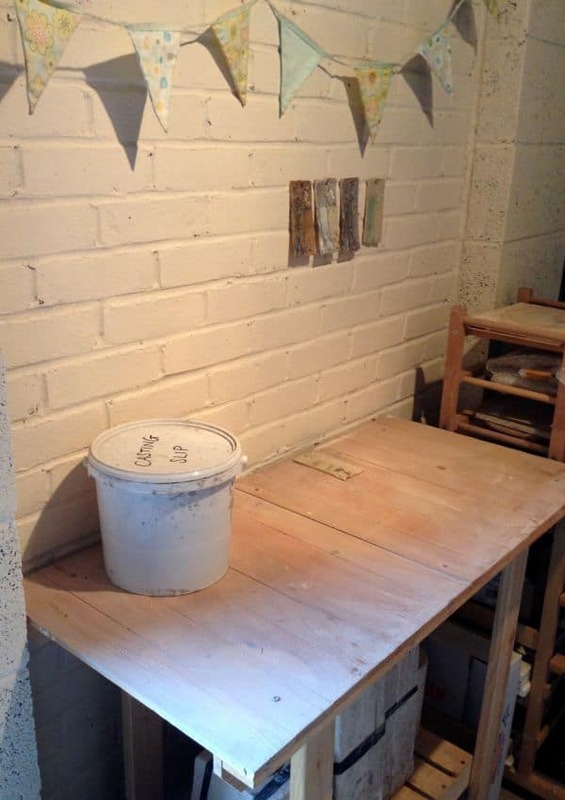 I now have cupboard storage space, a nice clean open floor to move around, and actual brick walls surrounding me! 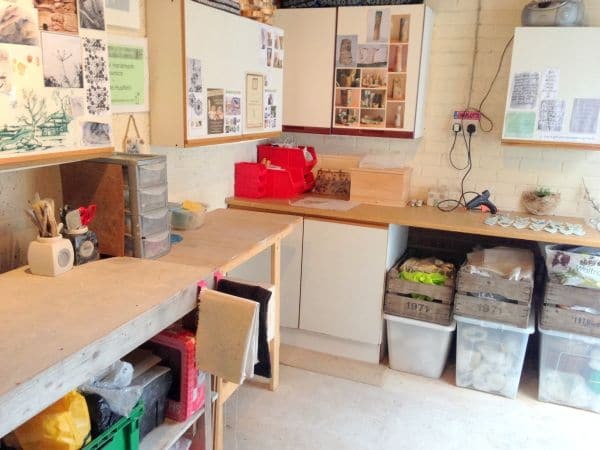 My old shed was fantastic while it lasted, and I always liked to think of it as small but perfectly formed. 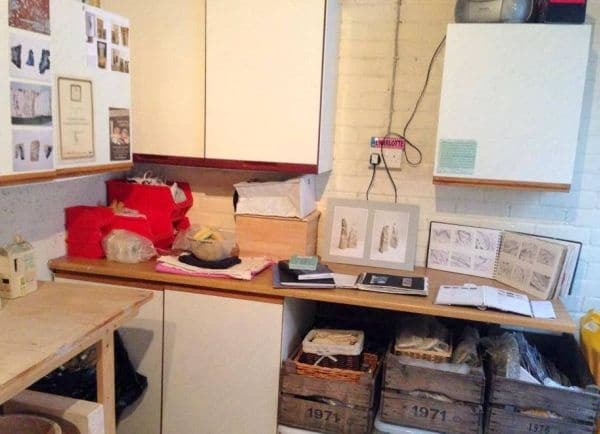 Working in such a small space meant that I always had to be organised and tidy, so I’m hoping I’ll be carrying on that practice in the new space (but don’t hold me to it). 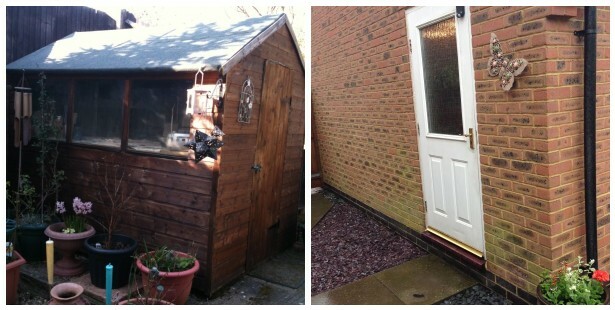 I will miss my little old shed but it is definitely time to let go and move on! Looking at these comparison photos above just makes me grin from ear to ear. I’m so happy in my new space! 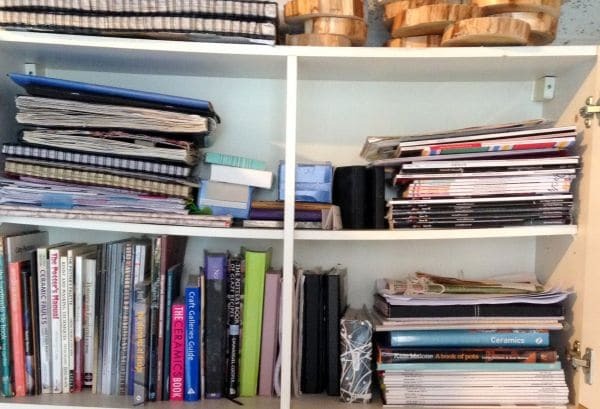 I can’t tell you how nice it is having easy access to my ever-growing collection of sketchbooks, magazines and books. To just reach up and open a cupboard and have every single book visible is like heaven! It would take me forever hunting around for a particular book before. Before everything was organised and put in place, I decided to brighten up the walls with some white paint. It really opened up the space and made it feel a lot fresher. 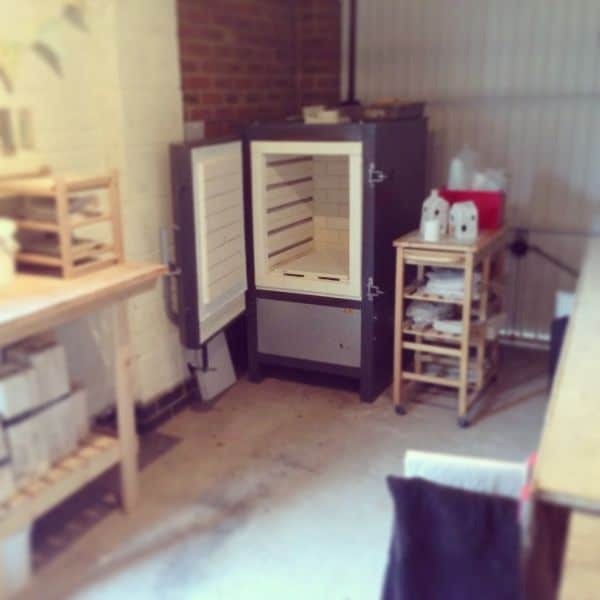 I was so happy when my kiln was settled in it’s new home, after being transported on the back of a trailer last week. 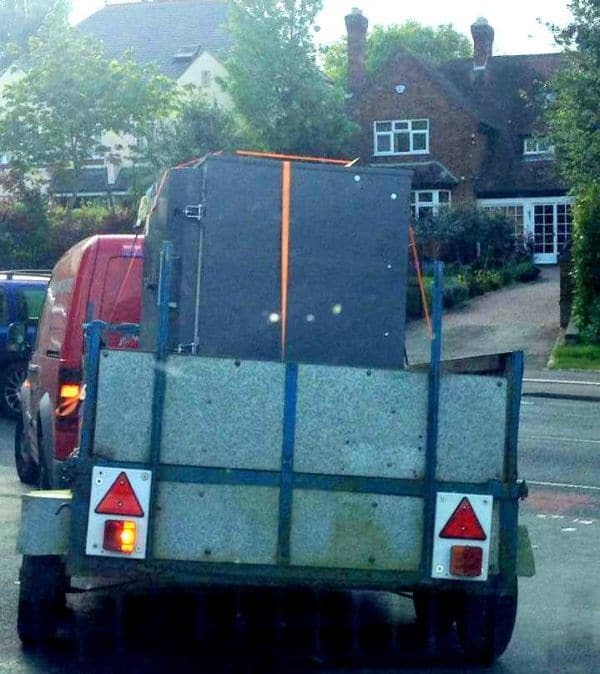 I was extremely nervous during the journey but surprisingly it couldn’t have gone more smoothly. Everything is complete! 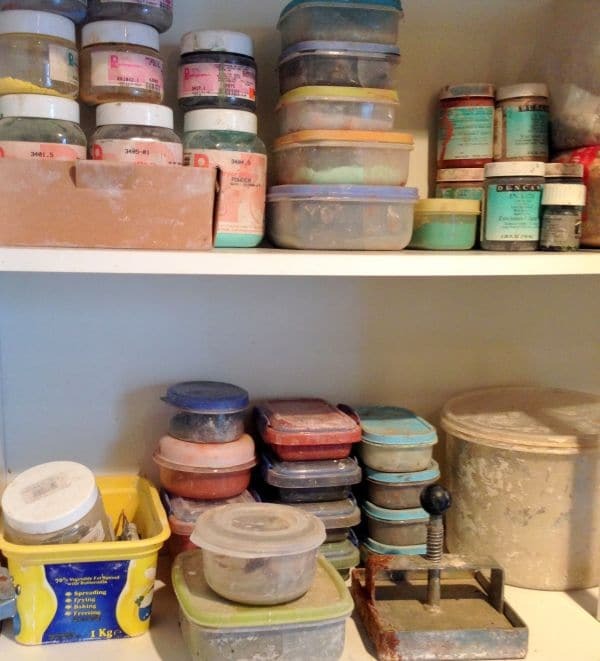 This workbench above is only small but will be where a lot of the action happens – including slip casting vases, glazing, and lining pieces up ready to be loaded in the kiln. 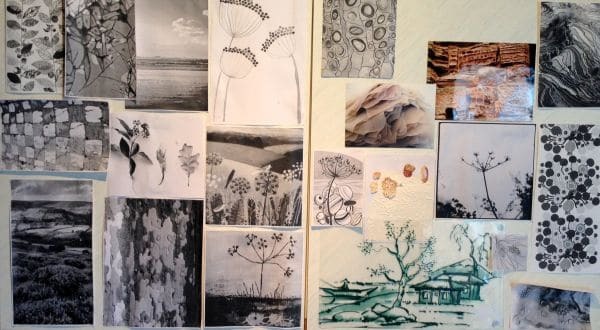 I’ve started pinning up some inspiration images and design ideas on the cupboard doors, and I use a pin board to pin up latest orders and commissions. I think the only thing I will miss is windows. There is good lighting in the garage (… I mean studio!) and a lot of natural light comes in through the door, but I loved looking out of the windows while pottering away in the shed. That’s where I guess I’ll have to fill the cupboard doors and wall space full of interesting things! My head is brimming with new ideas since the big move so I can’t wait to get stuck in and start making after the ‘Best Made Local’ Maker’s Market this Saturday at Buckingham Community Centre in Cornwalls Meadow.